Not too long ago, I was 14 years young, and I found myself with a bunch of middle school kids going to visit the Pinacoteca, a large museum of my hometown in Bari, Italy. We were somewhat well-mannered kids, but the yearly school trip in a bus, guided by a couple of teachers was more an excuse to be silly for one day and an escape from everyday routine sitting at a school desk than a time to learn something in the fields of life. The Pinacoteca is a large neo-classical building with large open spaces and so much art on the walls we had never seen before, of course we were only thirteen and fourteen years of age. Each art piece amused us in some ways or another while teachers were making efforts in keeping us attentive to their explanations and comments on the beautiful art pieces. We arrived in front of Lucio Fontana’s paintings and we were abruptly silenced at the view of sliced up canvases, at least that’s what we thought they were. The Argentine-Italian artist was well-known in Europe for his series of slashed monochrome paintings. Sometimes he embellished the slashed canvases with costume jewelry and glitters. 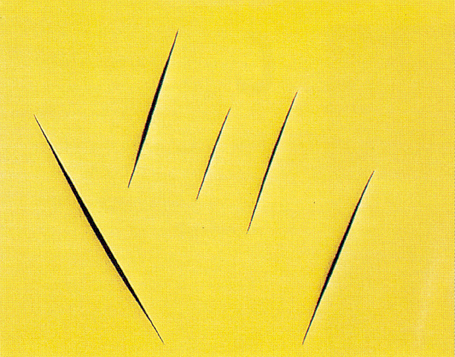 Lucio Fontana, lived between 1899–1968. His art was seen a mixture of avant-garde art under Italian fascism and kitsch painting of the postwar economic miracle. 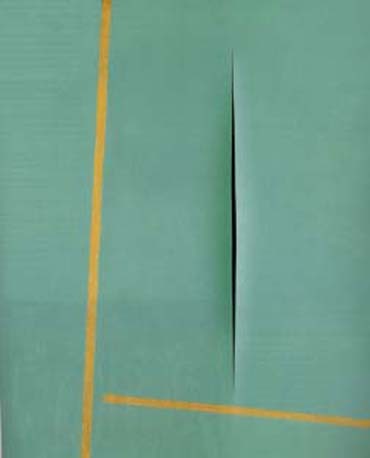 “Fontana attacked the idealism of twentieth-century art by marrying modernist aesthetics to industrialized mass culture” said art critic Anthony White. His art was a reflection of his time and it was perhaps the beginning of pop art. Lucio Fontana started developing the idea of space-oriented art, renouncing the usage of traditional materials and painting objects with fluorescent colors in dark rooms illuminated by ultraviolet light. The perforated canvasses marked the starting of a new “Concetto Spaziale” Spatial Concept and did not come until the beginning of 1950. It was this idea that really left a mark in the art world. 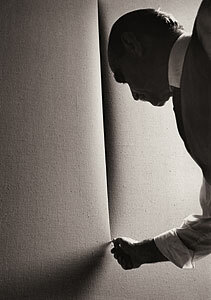 Today Fontana’s works can be found in the permanent collections of more than one hundred museums around the world. (Right: photograph of Lucio Fontana by Ugo Mulas). Why did I tell this story? I recalled asking one of my teachers on that field trip to the Pinacoteca, if Fontana’s art was really to be considered art. With all my disbelief, I thought anybody could have taken the knife and slash the canvasses. I thought art was supposed to be an extension of what is in our mind, not just an act of a “crazy moment”. 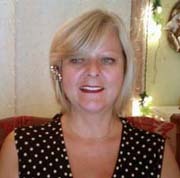 Thank you Jamie, I am glad you like my page design and my blog. It’s important to me to create harmony in any space whether is a blog or a home space. Thanks for the information. I didn’t know about this artist. And yes, what a powerful thing to learn at such a young age. I love art, even when I don’t understand it completely. It always makes me think though. Thanks for stopping by TBM. Art is so very subjective. I believe that to understand it, or to like it are two separate processes. Today, when I attempt to do something new, I think of that moment in my story and I don’t let go of the idea. I study it, perfect it and go for it. Good question and good answer! All together, this makes for a great post! I don’t think we can define what is art and what is not, but the idea of producing something unusual is powerful. Thank you Robin for stopping by.